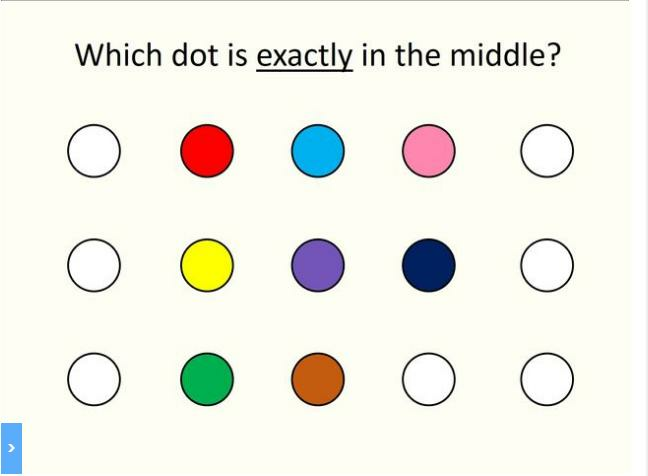 People Are Going Dotty For This Hit-The-Dot Brainteaser! If you think finding the middle dot is pre-school easy...think again. Just when you thought you'd wrapped your head around algebra, trigonometry and the Pythagoras' theorem, this comes along! It may look simple enough, but Playbuzz's Hit-The-Dot test is proving harder than it looks for some gamers, separating the smarty pants from the plain dotties. Read More: QUIZ: Are You Secretly French? 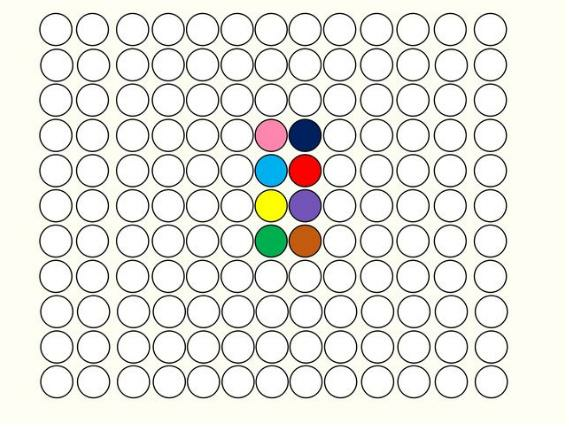 The quiz is designed to challenge player's critical thinking and visual skills by selecting the central dot out of a series of other dots. 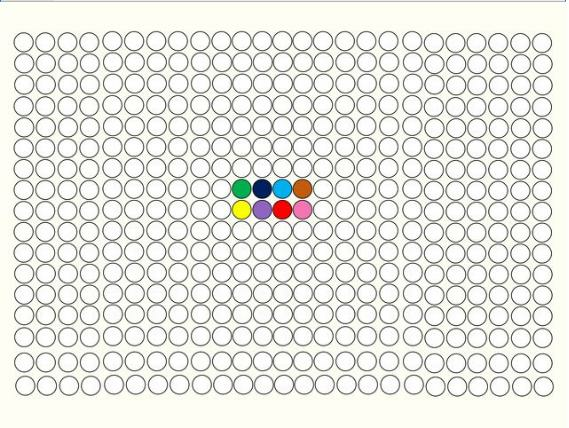 The game gets gradually harder with the number of dots increasing at each level, resulting in more than 400 spots to choose from at the last stage. After completing all eight levels, players were either left stumped or told that they were 'officially smarter than others'! Read More: This Lost Gherkin Puzzle Is Food For Thought! In typical gaming style, challengers have been sharing their tips on how to beat the dots online including colouring eight dots around the centre and one gamer on Facebook even claiming that there is NO middle dot at all! 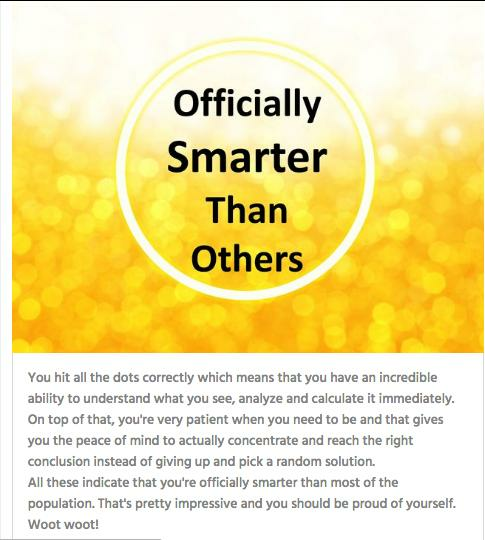 The game is growing increasingly popular amongst adult players on Facebook, with the 'officially smarter than others' winners publicly bathing in their genius success. But can YOU beat the dots? Give it a try HERE.